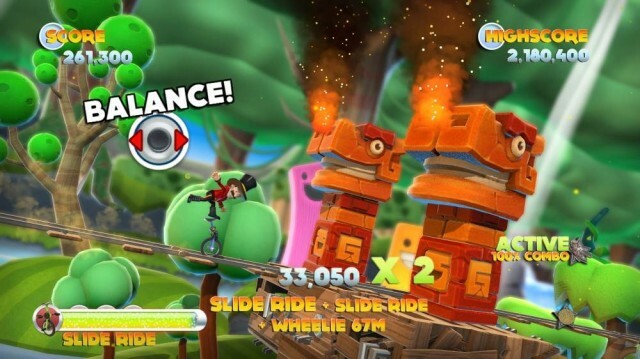 Variety is the spice of life – Joe Danger didn’t really deviate much from standard motorcycle fare but it was still fun to play. The Movie brings out a near arsenal of vehicles at your disposal to use. Within the first level, you’ll be mine-carting away with dramatic music playing in the background. Later down the line, you’ll get ATVs, jetpacks, unicycles, skis and more. The variety is even expanded in the environments with dinosaurs, robots, avalanches and more. Hello Games paid attention to what made this game great and blew it up with more stuff. 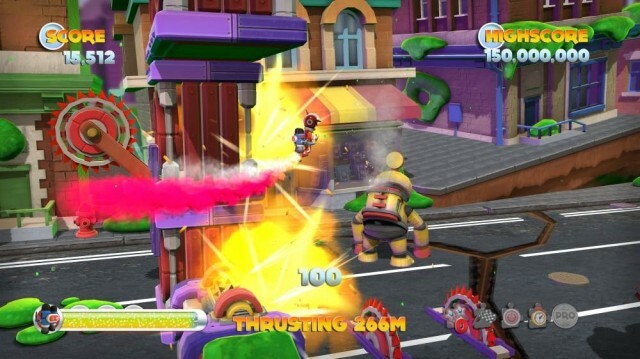 Simple to learn, pleasure to play – The familiar feeling you’ll get from Joe Danger 2: The Movie is wonderful. Fans of the original will appreciate that nothing has changed from this tried and true formula. Your vehicle always feels tight with simple controls that never get too outrageous. One second you’ll be hopping over things with ease, the next second you’ll be crazily ducking and jumping to avoid explosions. Don’t worry if you’ve never played the previous game, you’ll still feel right at home and be destroying robots in no time. Unlocks, Unlocks, Unlocks! – To get the most out of everything, you’ll want to unlock as much as you can and there’s plenty of things to do. The more stars you get per level gives you a higher chance of getting later levels down the line, along with Pro Medals for completing all the goals in one run. The game’s campaign, dubbed Movie Mode, goes through various scenarios but the Deleted Scenes are crazier challenges. Hello Games promises great things for those who 100% (we’ll never tell). Charming design all around – The visual aesthetic of Joe Danger was always vibrant and The Movie is no slouch in the art department. Lovable characters like Team Nasty and the Mole announcer return with new characters like the Director and…a cupcake. Even the music still sounds fantastic, emulating the original but with more bass, horns and everything else that’ll make you want to get your jazz pants on. No online multiplayer – This wasn’t in the original and while there aren’t a lot of tracks in multiplayer to begin with, it’s still a bummer that you can’t race with your friends online. Local 4-player works great and the people who have enough local friends to play with will enjoy it. But we’d like to race with our friends online and challenge them too. Trial & Error – The later levels in the game can get painstakingly hard, especially when you have to beat them in one run for Pro Medals. That said it’s more forgiving this time around too, through their checkpoint system. We understand some people might not want to re-play levels over and over in order to get everything though. 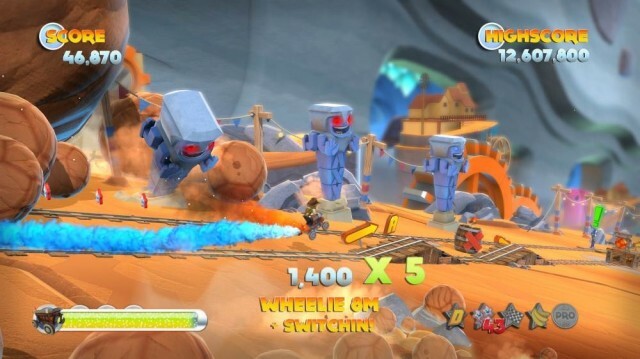 Hello Games really stepped up with this iteration on Joe Danger, but it’s also sad since this is the last game we’ll see the stuntman. We couldn’t think of a better swan song for him than his own movie with this title. The variety is amazing, the levels are grander, and the amount of stuff to do just makes you want to smile throughout. It’s just a bummer that the online wasn’t up to snuff and some of the later challenges get controller throwing frustrating at points. But you really can’t go wrong with this follow-up. 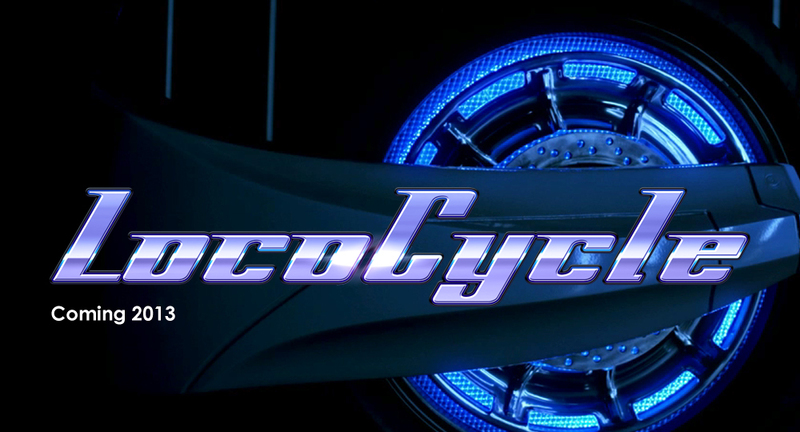 One of the best XBLA sequels to hit this year and we can’t recommend it enough. Order your tickets and hold onto your butts, you’re in for a crazy show.